Looped ribbons have become the visual definition of standing for a particular cause, and showing your support to the brave souls who are batting said diseases and conditions. A red looped ribbon is most commonly associated with the fight against HIV and AIDS, both of which are incurable. Of late, it has also begun to find itself being widely associated with heart disease. 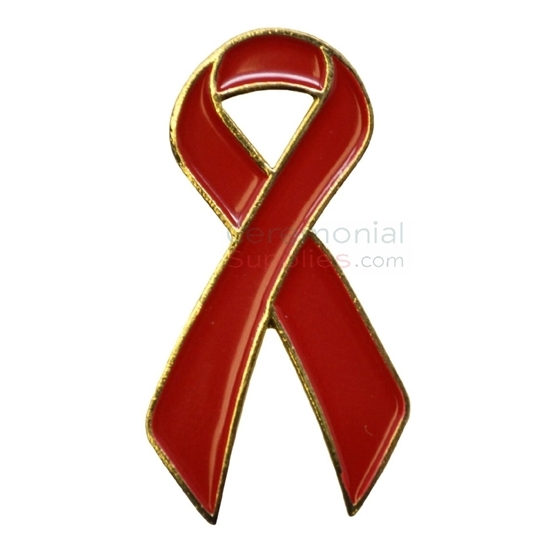 The Looped Red Support Ribbon Lapel Pin is a lapel pin that comes in the design of a red support ribbon that can be worn on your lapel, so that by doing so, you can show solidarity in the day to day battles people face against mentioned diseases. CermeonialSupplies.com has a whole section dedicated to support ribbon lapel pins. Scan through it to choose the one right for the cause you're supporting.